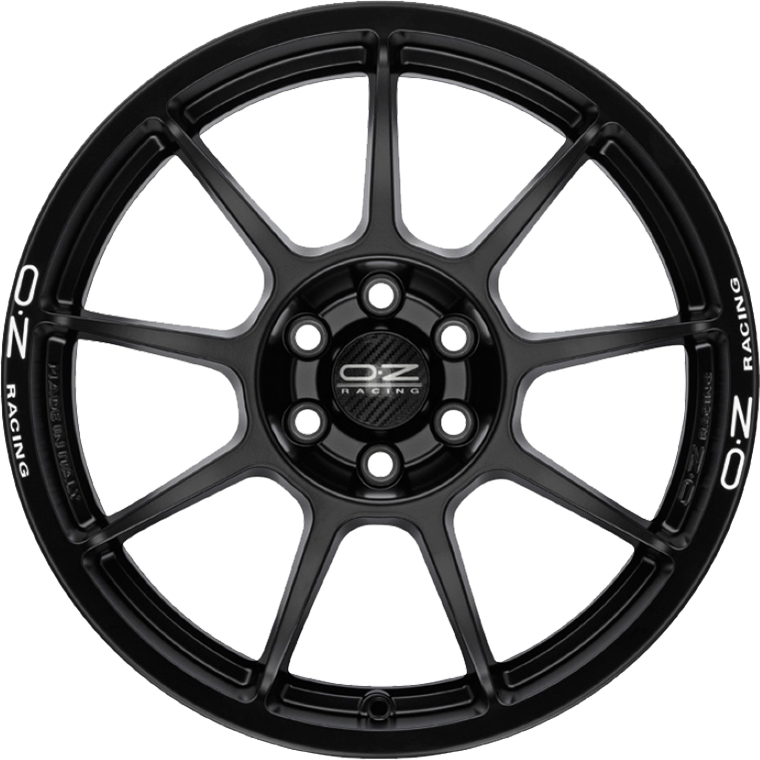 OZ Racing Challenge HLT is the wheel created for race track use. OZ Racing Challenge HLT is the wheel created for race track use. Made from a monobloc using technology exclusive to OZ for flow forming, it is light weight and extremely durable. The Challenge HLT wheel has a 9 spoke design, which is what brought OZ Racing its fame. The Challenge HLT is available in one finish only: matt black, embellished with white writing and a carbon-fibre hubcap. It is available in 5 holes version for BMW M3 and M1 and Nissan GTR (without hubcap) and 6 holes version for Dodge Viper (with hubcap).